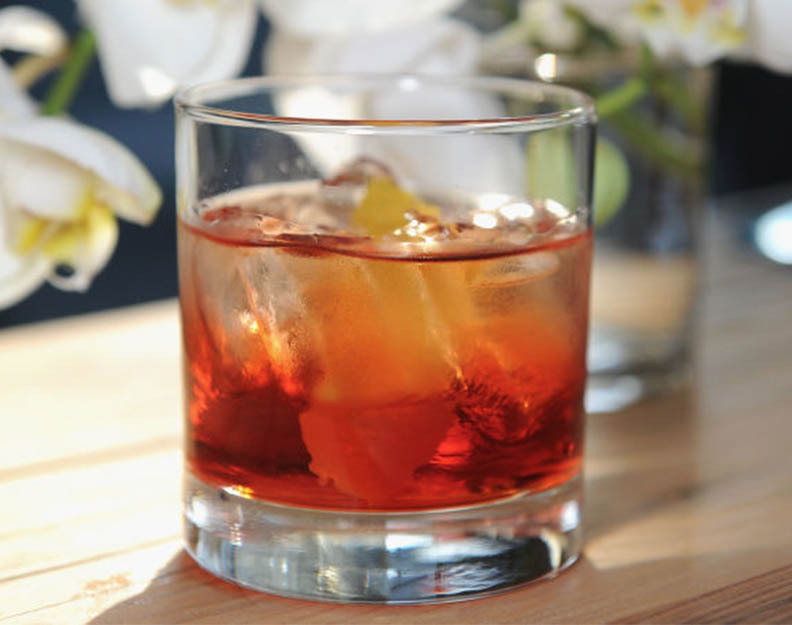 Add the gin, Campari, and vermouth together in a cocktail shaker. Pour a splash of Grand Marnier over the top. Garnish with your favorite seasonal garnish (we like a twist of orange peel).